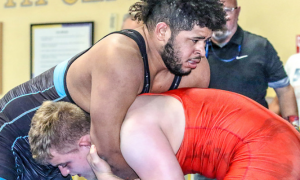 Tommy Dantzler On Choosing Greco Over Football: "I'm Feeling Free Again"
As we covered last week, Tommy Dantzler (82 kg, Front Range Twisters) announced that he intends to pursue a full-time Greco-Roman career at the Olympic Training Center. It was a big bit of news. 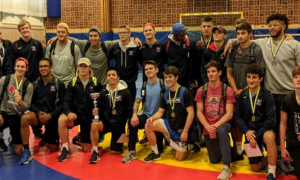 Despite being the son of former Olympian and multiple-time World Team member TC Dantzler, wrestling post-high school was not seen as an obvious next step for the 17-year-old. A standout on the gridiron at Homewood-Flossmoor High School in Illinois, Tommy was recruited heavily by several powerhouse football programs. That made whatever his decision was going to be far more pressing than it usually is for kids who happen to possess a sizable amount of Greco talent in their bones (or in this case, DNA). There were several factors that played a role in the younger Dantzler opting for Greco-Roman, key among them being the realization of his own boundless talent. Toss in the fact that two of America’s poster boys for age-group success, Kamal Bey (77 kg, Sunkist) and G’Angelo Hancock, are practically like family — as well as the idea that he will be able to chase Olympic glory the same way his dad did while remaining close to home — and it all added up to the USA Greco program reeling in one of its hottest prospects in recent years. 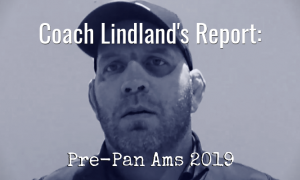 Before he takes the mat on Thursday at the UWW Junior World Team Trials in Las Vegas, we caught up with Tommy to get his thoughts on the variables that led him to choose Greco and what he is looking forward to most about starting this next chapter of his student-athlete career. 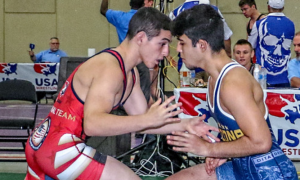 5PM: Giving what we’ve learned in recent years about concussions, brain trauma, and CTE in regards to football, did any of that play a role in you deciding to focus on Greco? Tommy Dantzler: It most definitely did. I had a concussion before and it didn’t feel good, and I knew I was more at risk for that playing football. When I was deciding between football and wrestling, that was definitely something I considered because I didn’t want to go through that again. 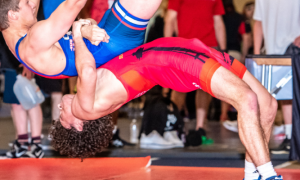 The risk of getting a concussion is way lower (in Greco) than it is in football. 5PM: When did the decision start to take hold in recent months, when did it become something that had to take priority? 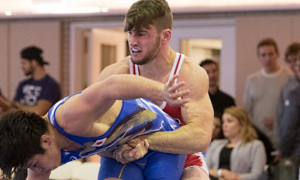 TD: Really, after wrestling a couple of Greco tournaments, it really brought me back to thinking about how good — and I’m being humble when I say this — but how good I am already and how much better I can get. I was really heavy on football before because I had those opportunities. 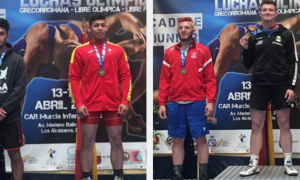 But after wrestling in a couple of tournaments and getting a couple of throws, I just really felt more comfortable with that than I did with football. That’s when my mind changed, in March, just getting back to that season and feeling free again. 5PM: The way you said that, it sounds like you look at wrestling as something you should be doing. TD: Exactly. It’s something I’ve been around my whole life. I started football kind of late but I’ve been around wrestling my whole life with my dad and everything. 5PM: That is one part of this narrative, your father. He said he didn’t want to push you so much, that this all had to come from you. Even still, where did he fit into this equation when it came time to actually choosing the OTC? TD: Since he also lives in Colorado, I knew he would be around to help me with my wrestling career. That’s where he fits in. And also, I just want to be looked at how he was looked at during his career, and probably pass him, hopefully. That’s the goal overall. But with him around, I feel like I can get a lot more done. 5PM: The Greco program in this country is being built around the youth movement. You have close relationships with Kamal Bey and Tracy (G’Angelo Hancock). I imagine that played a role, too, watching them have success and understanding that at some level, you are capable of the same things. Tommy Dantzler: I really look up to Tracy and Kamal. They’re my big brothers. Because I am the oldest sibling in my family, I look at them as my older brothers. When I see them succeed I know I can do the same because we have the same work ethic and the same mentality, too. So to train with them is going to make me both a better wrestler and a better person. 5PM: Outside of your dad, Kamal, Tracy, and whomever else, are there any other wrestlers you have looked up to and have wanted to kind of pattern your game after or take ideas from? TD: My little brother. It sounds funny, but he and I wrestle completely different. The way he wrestles, his style is something I want to pick up when I am watching him, and I think I can pick it up. He’s going to be a big wrestler, so yeah, I’d have to say my little brother. 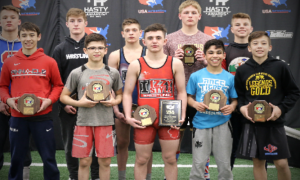 He has some stuff I need to start studying on film and he’s another kid I look up to not just for Greco, but for wrestling overall, really. 5PM: You’re going to be attending the University of Colorado in Colorado Springs, which has the advantage of being close to the Olympic Training Center, it’s close to home, etc. I think what gets lost in this a little bit is the fact that you will be starting this whole new phase of your life at once. 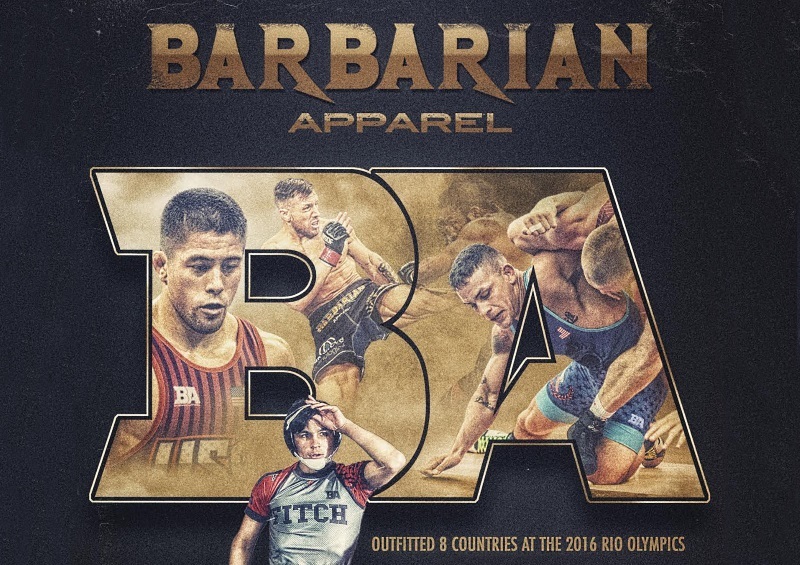 It’s not just Greco, it is also the next level in your education. Is this something you’re excited about too, beginning college and living that life and all that goes with it? TD: Oh yeah. I really can’t wait for college because I want to experience the different type of atmosphere. I have friends who have already started college and they have told me stories about how it is, whether they are playing football or wrestling. Then there is Kamal and Tracy, and I am just looking forward to experiencing those situations as I begin this next chapter in my life. I have “senioritis”, you know? I am sick of high school and I just want to start something new (laughs). I think it will be good. 5PM: Vegas this week, Junior World Team Trials. This is a level you understand, it’s a level you’re familiar with. You’re also entering this tournament rejuvenated, in a sense. Re-motivated. It’s as if this is a new opportunity for you. Do you feel like this is an advantage, the fact you’re hungry and and doing this as your own choice? TD: Yes, definitely. I feel really good going into this tournament just because of the momentum I’ve had from the other tournaments. At the same time, I just have to keep the same mindset that I’ve had the past few weeks, that no one can take me down, no one can turn me. I keep telling myself these things and I think this is going to be a really good tournament. Especially because I didn’t think about this during the folkstyle season. It wasn’t until I really started taking off. Now that I have that mindset, I just feel unstoppable and I am planning to keep that momentum going on Thursday. 5PM: Were there items from your wrestling background that helped you in football and vice versa? TD: Sure. In football, tackling, period, and also the mentality. It’s a mental state with football. There might be someone way bigger than you on the field, but if you think you can take them down, tackle them, run over them — you might not get them the first time, but it’ll put their tail between their legs the next time you come at them. And I think wrestling really helped me with that, just standing in front of someone else to wrestle them. Just being right there to show them what I have versus what they have really helped with football. It’s the same thing with how football helped my wrestling. It has given me more power, explosiveness, and has shown me what my athleticism has to offer for wrestling. I think those two played off of each other really well overall. 5PM: When you were growing up, did it just feel natural to throw people? TD: Yeah (laughs). It felt really natural. I thought everyone else could do it, but then I’d go to tournaments and you see no one else doing what you are, and you’re like, Whoa, what’s going on? That’s why I felt so comfortable with Kamal and Tracy, because they were doing the same stuff I could do. 5PM: Between Greco and starting college, what are you looking forward to the most as far as taking this next step in your life? Tommy Dantzler: Definitely just enjoying it more and getting my stuff better organized. In high school I did alright, but I feel like I could have done even better. Like you were saying earlier about time flying, yes, you don’t know what you have until it’s gone. I just hope that in this next chapter I can get that stuff together, go out more, and at the same time, get ready for Worlds or whatever it is that’s coming up for me in the next few months. Follow Tommy Dantzler on Twitter to keep up with his career and competitive schedule.